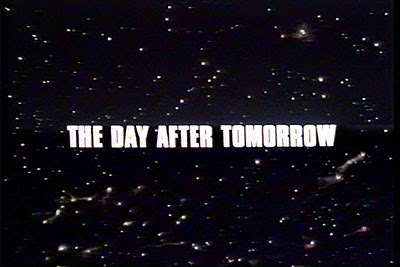 A reader of this site generously sent me a copy of the Gerry Anderson production of The Day After Tomorrow: Into Infinity, an educational science fiction special that originally aired on American television in December, 1975, as an installment of the irregularly-scheduled NBC Special Treat series for kids. I watched it tonight for the first time since I was ten. It's amazing how much of it I remembered. The hour-long telefilm has virtually no plot. 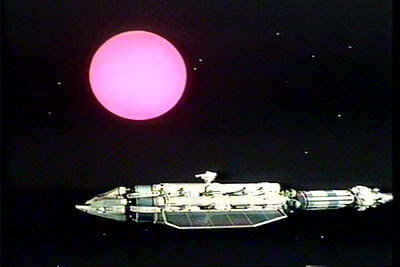 A spaceship, the Altares, possessing a revolutionary new "photon drive" that will allow it to travel at speeds approaching the speed of light, is sent on an exploratory probe to Alpha Centauri, with the choice of continuing past that point left up to the crew. 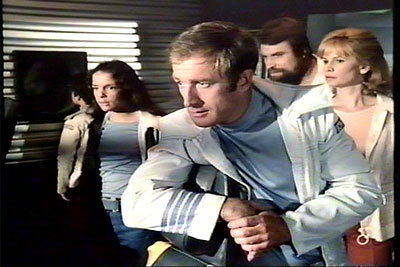 The crew is composed of two families, each with a young child - Captain Harry Masters (Space: 1999's Nick Tate with a faux American accent) and his daughter Jane (Katherine Levy), and Dr. Tom Bowen (Flash Gordon's Brain Blessed, in an uncharacteristically restrained performance), who is accompanied by his wife Anna (Joanna Dunham) and his dour son, David (Martin Lev). Interestingly, both children are full members of the crew - Jane is the co-pilot and David assists his parents with their scientific duties. 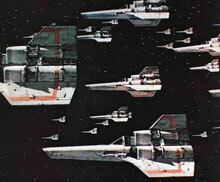 The trip to Alpha Centauri is relatively uneventful, and after deploying a bunch of data-gathering satellites, the crew votes to continue on into the galaxy. Unfortunately, a malfunctioning photon drive sends them farther and faster than they ever intended, and they find themselves lost in an unknown part of the galaxy, powerless, adrift, and caught in the gravitational pull of a red giant star that's on the verge of going nova. More of a "pink giant," actually. Captain Masters manages to repair the engines in the nick (ha!) of time and escape the exploding star, only to soon find themselves in peril once again - caught by a voracious black hole. 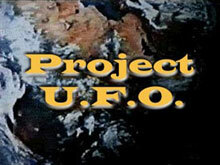 As the film ends, the Altares has passed through the singularity and emerged in another universe, and the crew finds themselves facing an unknown future. Intended to dramatize Albert Einstein's relativity theory to young people in an entertaining way, Into Infinity does spend a great deal of time explaining stuff like time differentials (which is also used to justify the presence of children on the ship - although it would have been more logical for Earth to simply send childless astronauts) and doppler shifts, but Byrne's story also indulges in plenty of wonky pseudo-science and insanely improbable coincidences, too. 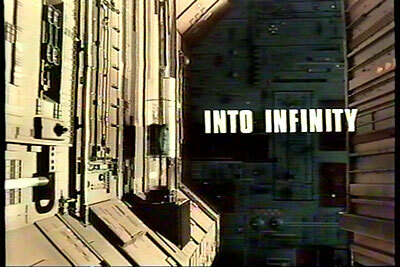 Produced between seasons of Space: 1999, Into Infinity was written by frequent series scribe Johnny Byrne and directed by 1999 vet Charles Crichton. 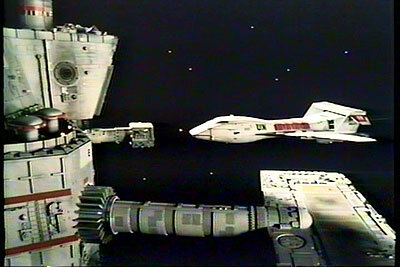 The special effects were by Brian Johnson's 1999 FX team, and the music was by Year Two composer Derek Wadsworth. 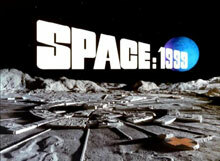 Every adult cast member had - or would soon - appear on 1999, and UFO's Ed Bishop provided the narration. 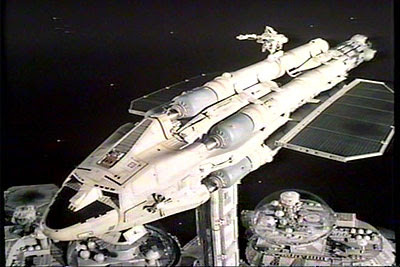 The Altares was a new, wonderfully designed and detailed miniature by the great Martin Bower, but the space station it launched from was a portion of the "Ark" model recycled from the episode "Mission of the Darians," while the Altares' interior appeared to be a redressing of the "Ultra Probe" set from "Dragon's Domain" with a few bits and pieces of other old 1999 sets incorporated. "A whole new universe. Huh." 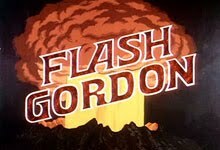 I really enjoyed watching it again, and - as I said above - it was amazing how much I remembered from my childhood. One thing that struck me this time was how "British" (despite Tate's attempt at a Yankee accent) the characters were, facing each new peril with remarkable calm and "stiff upper lip" stoicism. By the time they're caught in the clutches of the ominous black hole, they're apparently so resigned to being jerked around by the universe that they just hold hands and calmly await their fate. Seriously - I choked up. 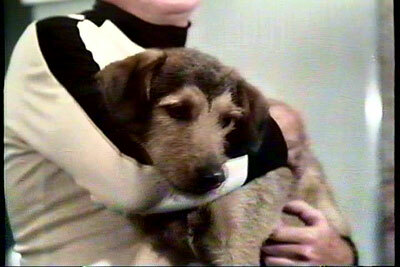 The only character that generally displays any genuine emotion is young Jane, who has to reluctantly leave her pet dog behind at the beginning of the show (if it was me, I'd never leave my dog behind, but I'm a wuss), fears for the safety of her father when he has to repair the ship's engines, and expresses both wonder and fear at the various cosmic situations the crew finds themselves experiencing. By contrast, David might as well be a Vulcan for all the emotion he displays, and the adults maintain a suitably "professional" detachment at all times. It's kinda like Kubrick's 2001: A Space Odyssey... for kids. That's a black hole, all right. 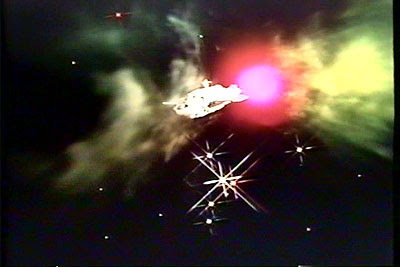 The effects work is about on a par with the team's usual work on 1999, although the black hole - probably in a nod to the program's "educational" nature - is just a, uh, black hole in space, and not nearly as visually interesting as the phenomena the same team created for the 1999 Year One episode "Black Sun." 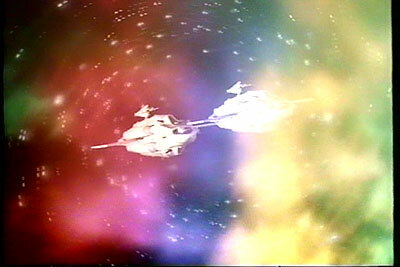 The actual journey through the hole is very colorful, however, employing techniques that would reappear in 1999's "Space Warp" episode the following year. 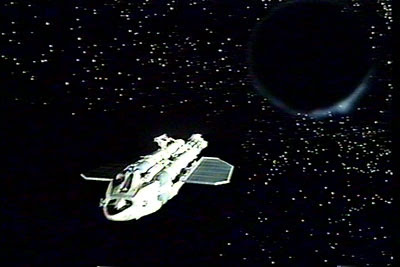 The depiction of the crew's passage through the black hole is a bit of a hoot, though; apparently at a loss as to how to visually represent getting sucked through a singularity, Crichton simply had his cast run around the set back and forth with their arms outstretched and shot them in slow motion, then blurred it out in post! "You do get that we're in space, right, kid?" Despite the mostly cold and inexpressive characters, lack of dramatic conflict, or really, even much of a narrative, Into Infinity is still entertaining. Tate and Blessed have enough natural charisma and screen presence to hold the attention, and maybe it's just my love for old school miniature effects and 70s sci-fi production design, but I really enjoy just looking at the film. The sets are convincing (if familiar), the design of the Altares is fantastic, and the passage through the black hole is appropriately psychedelic. Overall, it's a solid little piece of 70s juvenile sci-fi, maybe not quite as "scientifically accurate" as it pretends to be, but fun. Great review, Chris, and glad you got the movies. You've got some good screen captures of the film. 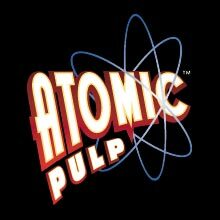 I agree, probably not Anderson's masterpiece, but a fun film to revisit from time to time. 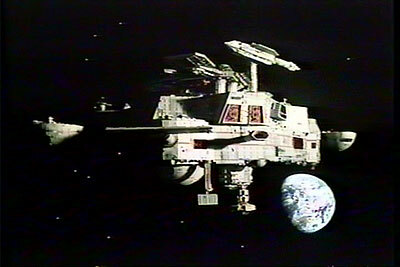 Space: 1999, Black Sun was one of my favorite episodes, among many. I like those old school effects too. Christopher Mills excellent review. 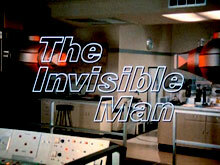 When I saw this as a boy in 1975 during the first season of SPACE:1999 airing, I was intrigued. 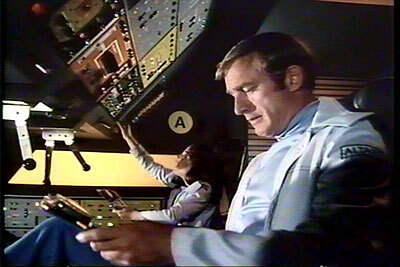 Gerry Anderson's team made the Altares interior set differ enough from the Ultra Probe of "Dragon's Domain" including the large silver vault door to the engine drive section. 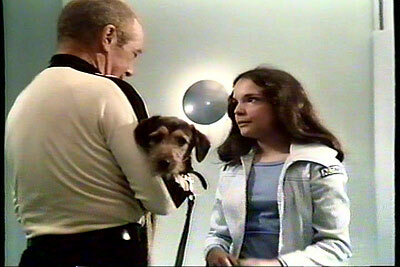 That vault door was used extensively on SPACE:1999 Alpha Moonbase interior sets too. Oh gods, I remember seeing this waaaaaaaay back in the day. now I feel seriously old. I tuned into this one a few minutes before the end. 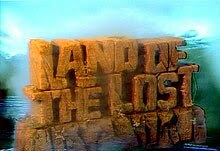 I never knew what it was called until several years later because it wasn't noted in our local television listings. 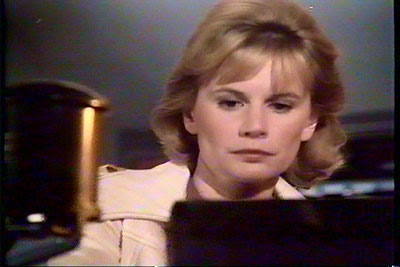 (The TV listings had the normal programming that aired in its timeslot). 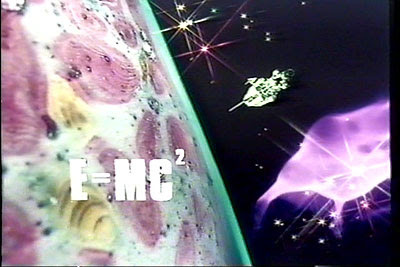 I remembered the E=mc squared caption slide and Nick Tate and the 1999-esque design and the passage through the black hole, but that's all I saw. I remember this as an "afterschool special" and have thought about it intermittently for years -- every time I hear Jigsaw's "Sky High," which they ripped the dramatic horn score for the film. 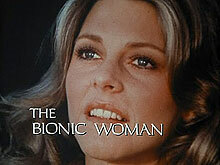 Love the blog, and keep coming up with these gems from the '70s! I remember seeing this as an afterschool special, too. But I wouldn't call this "2001 for kids." 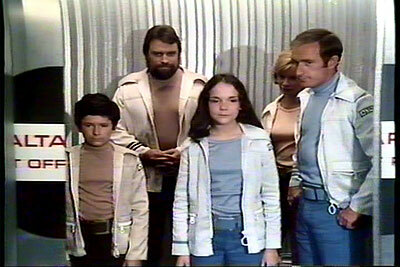 I'd say it's more like an updated "Lost in Space" pilot, minus Dr. Smith and the robot. One of my teachers at NYU-- George Heineman-- had a hand in producing this. 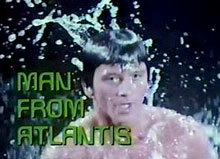 He didn't have any context to it (certainly nothing along the lines of "And those SPACE 1999 guys did some of this! And there's that dude from FLASH GORDON!) other than to say how totally awesome he was and what a bunch of worthless, wet-behind-the-ears dweebs we were. I think the next lecture's guest was Soupy Sales which may qualify as notable depending on which side of the retirement age you fall into. Wow. I have been looking for this since it's first showing. I have had vague memories of seeing this as a child, and the part where they choose to go home or continue, and the moment when the photon drive malfunctions have been rattling around in my brain ever since then. Thanks very much for fulfilling a 37 year quest to find ou what film it was! 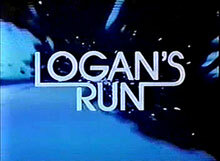 Just watched this for the first time in 38 years. A youtuber was good enough to send me a link to it. This movie made a big impression on me as an 8 year old since it took the idea of traveling into space to our nearest star very seriously. 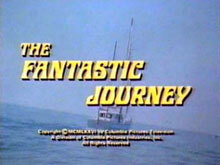 I liked the serious side of space travel and exploring the unknown much better than the later space swash buckling. 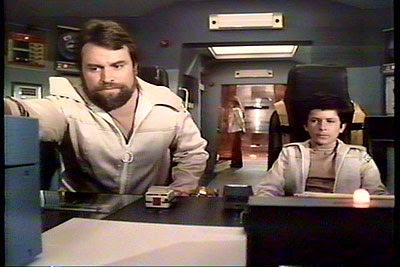 I was not surprised to find out from Chris's blog that this movie or pilot for a tv series really, was made by the Space 1999 people. It has the same sense of wonder and the same visual look not to mention a couple of the same actors. I was a little disappointed that it didn't wow me as much now as it did then but it still is very good and shouldn't be entirely forgotten as it seems to be. I am mostly relieved that I didn't make the whole thing up in my head and now have explicit evidence to show my wife who is the only one who even pretends to care about what I remember from childhood. Peace. This is available on BBC iPlayer for the next 10 days - just watched it and thoroughly enjoyed it.